It’s most unusual for a town to train the whole community in customer service techniques. But this is exactly what Steamboat Springs, Colorado decided to do in 2014. According to Eppley, owner of Ohio-based company, ProspeX at the time, it was all about exceeding customers’ expectations. The impetus for the dramatic move came after the town of Steamboat Springs witnessed the resort achieve two years of industry leading guest service results from their Service Excellence program while comparing those results with the town’s visitor survey in 2013 which revealed a significant decrease in responders saying they would recommend Steamboat Springs to friends and colleagues. The town’s survey showed a seven point drop from a previous 2010 study. 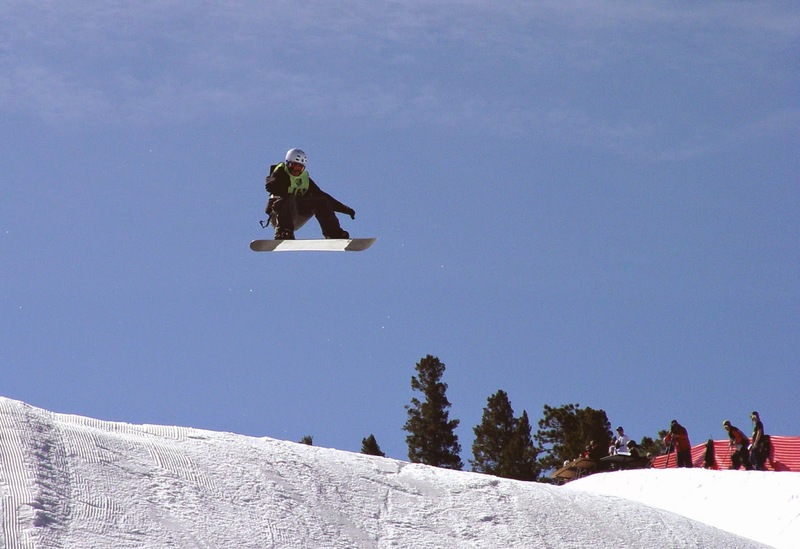 The idea of training the whole town as well as the ski resort was the brainchild of the Steamboat Chamber CEO and SSRC's COO, Chris Diamond, who was also on the Chamber Board of Directors. “They felt it was important that someone who comes to Steamboat have exceptional experiences, whether they were on the mountain or in the nearby town,” Eppley explains. 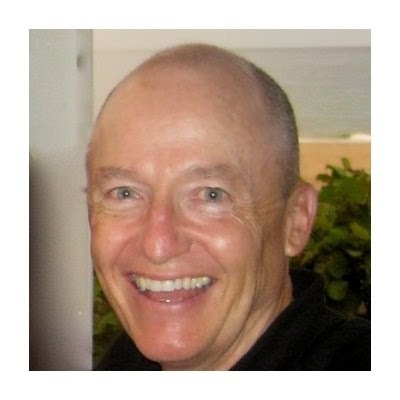 He went on to custom design a pilot training program, initially involving four four-hour sessions over the space of a month, teaching the very latest in customer service culture and using many Disney examples of ‘going the extra mile’. 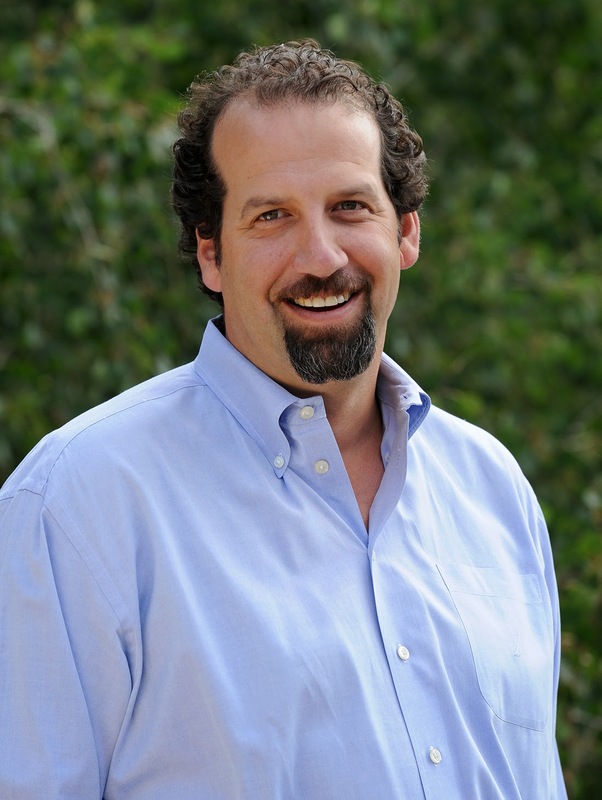 His course included techniques such as the connection stack: finding common ground with customers and then using that more intimate relationship to gain their confidence and loyalty to the destination. 1)Find out why you want to do this. 2)Clear focus on what you want (or need) to achieve. How will we know if we are successful? 3)Passionate internal champions at all levels of the organization. ‘Street Cred’ is critical. 4)Persistence – this will take years to gain full traction. It’s been said you’ll need one full year for every layer of management. 5)You’ll need a doctrine to make your own. For Steamboat, that’s our culture and Service Excellence. 6)Determination – when challenged, use your decision making to reinforce your commitment to Service Excellence. Don’t undermine it. Results are measured quantitatively via the town’s Net Promoter Scores, although instant increases were not anticipated since only 15-20 percent of the town’s businesses had gone through the program by early 2015. “As of February, Net Promoter Scores for the town have not moved in any significant way and were not expected to do so,” Eppley acknowledges. At the ski resort, however, every employee receives an introduction to Service Excellence and results have already proved its worth. “At SSRC, the real movement came starting in the second year and third year,” Eppley says. “It wasn't until the Christmas and New Year's weeks this season, that SSRC had their highest scores to date.” He adds that those were the two busiest weeks of the entire season – a time when customer service scores might logically be expected to decrease. In March 2015, the resort recorded a 91 per cent Net Promoter Score as a result of which they offered 90 randomly selected staff members with prizes. Qualitative results had already started to show around town with one multi-unit restaurant owner recording improved guest satisfaction scores and asking for more training for his management team. A condominium owner also noticed significant increases in bookings. “Another good indicator is unsolicited comments from guests to Steamboat Springs. Those appear to be moving up,” Eppley confirms. When a country or state is best known for its dry climate, desert flora and long, laid back summers, it’s pretty difficult to imagine it in winter, covered in snow with skiers and snowboarders merrily zooming down groomed runs, slaloming in glades and pounding the powder. But New Mexico, which has this extreme variation in climate, has managed to change people’s perception recently and open their eyes to a new winter sports wonderland, doused in around 300 inches of snow annually. This has been achieved via the New Mexico True campaign launched by the New Mexico Tourism Department (NMTD) in November 2013. “Last year (2013) was the first year we did a designated winter campaign,” says Rebecca Latham, NMTD Cabinet Secretary. 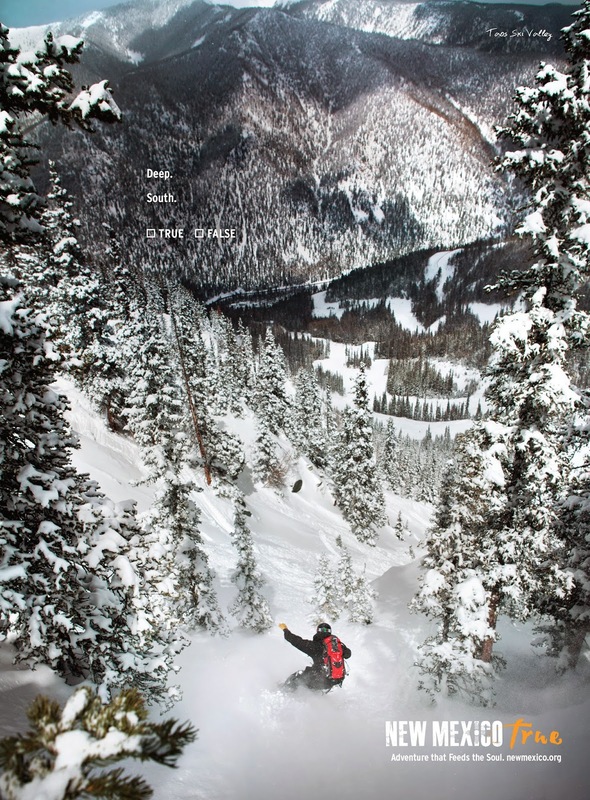 “The perception was that New Mexico is a dry and arid state and we wanted to dispel those misconceptions.” New Mexico True summer advertising shows lush greenery and water with mountain backdrops and this has been extended to winter, with a heavy focus on the ski industry offerings. “We are showing that New Mexico has snow and also an abundant offering of skiing and snowboarding as well as snowshoeing, sleigh rides and snowmobiling,” Latham explains. The creative campaign is being disseminated via multi media: “We’re using a little bit of everything, really targeting print in AFAR, Food Network magazine, Texas Monthly, Southwest, Outside mag. So we have some really targeted messages based on what the appeal of the publication is. We also do broadcasts, 30-second TV commercials, and also cinema advertising in our main target markets. In New York City and Chicago we do transit advertising, on subway trains and taxi cabs. And we have beautiful, larger than life dioramas in the airports. 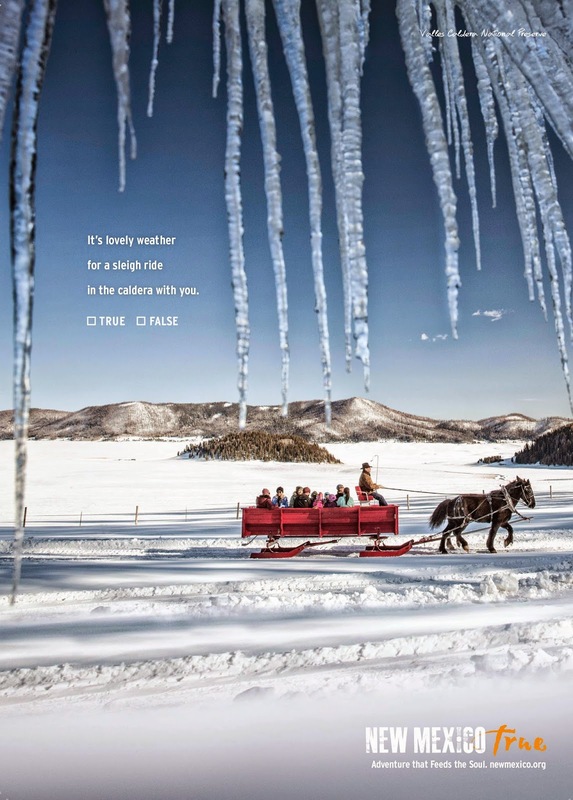 And closer to home we have billboards within the state of New Mexico,” Latham explains. This is backed up with a wide scale social media presence on Facebook, Twitter, Instagram and Pinterest plus 15-second digital ads on targeted websites. 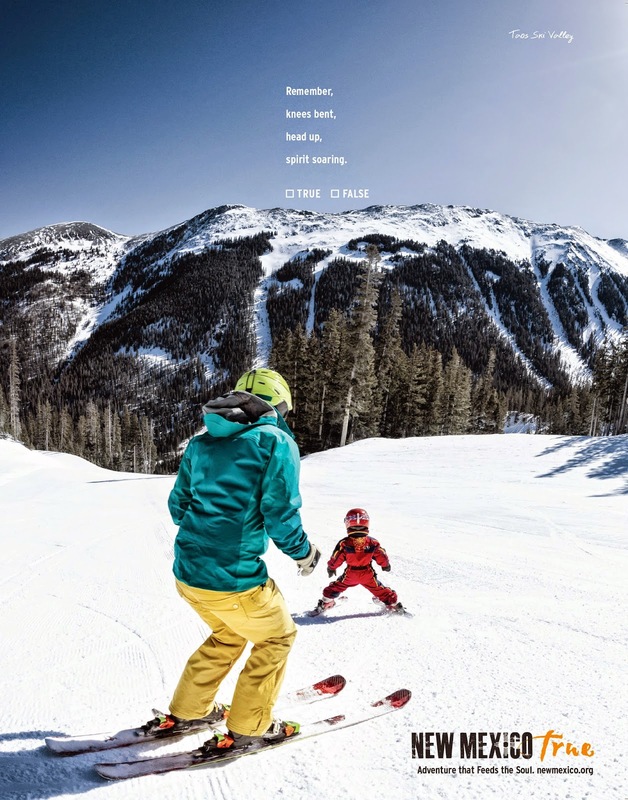 The aim is to enhance awareness of New Mexico’s snow and dedicated program of winter recreation which includes eight Alpine and three Nordic ski resorts. 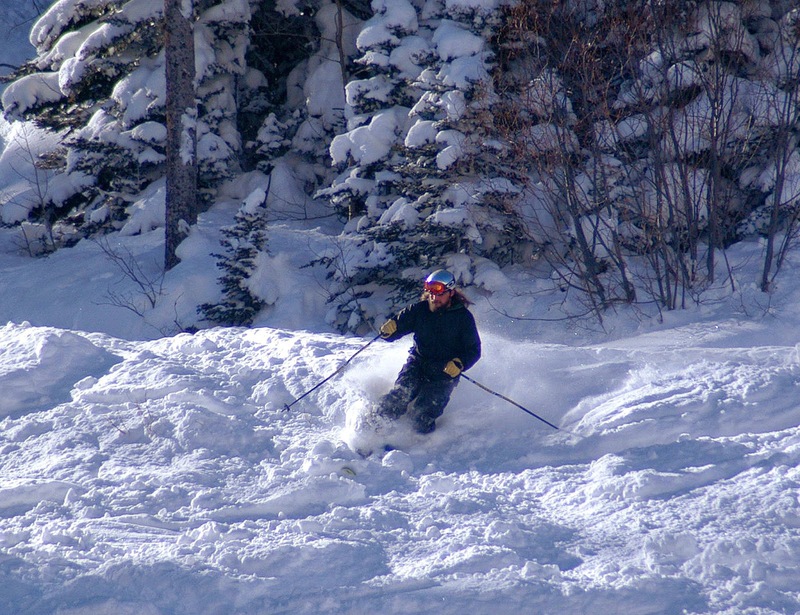 Probably the most famous alpine area is Taos Ski Valley, but there are also Apache, Angel Fire, Sipapu, Red River, Ski Santa Fe, Pajarito Mountain and Sandia Peak. “It is a general promotion message rather than pinpointing specific resorts,” says Latham but she says that all the resorts are very pleased that NMTD is fronting a winter campaign and they are already seeing the trickledown benefits of it. “As well as showing our skiing, we are also showcasing our culture - for example, people having a bowl of green chili stew at the end of their ski run, adventures that you can’t have anywhere else,” Latham describes. Total visitor spending since 2010 has also increased by 24 percent and the amount of overnight leisure trips has gone up 37.5 percent – “that is three times the national average,” says Latham. The change in perception – and resulting leisure travel increase - has emanated from New Mexico’s target “fly markets”: Dallas, Houston, Denver, Phoenix, San Diego, Chicago and New York City. “We know that the past two years we have seen record-breaking tourism growth as a result of the New Mexico True campaign,” she adds. 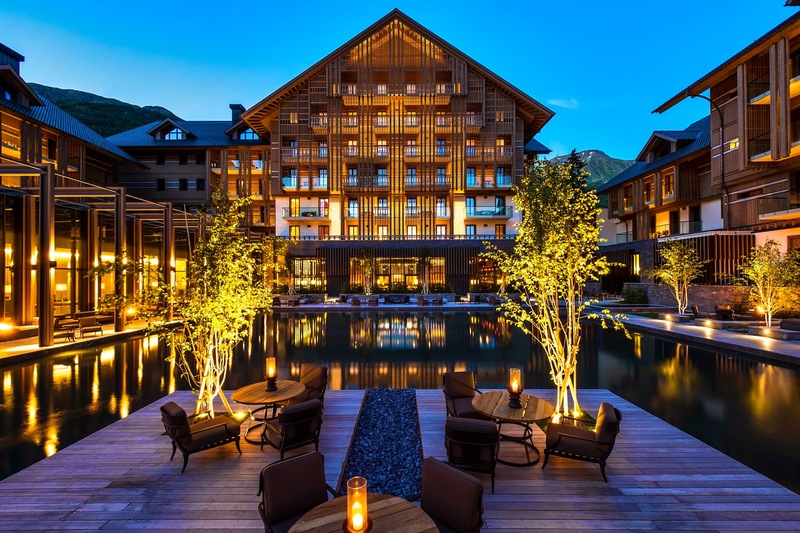 Competing with glitzy St Moritz and Zermatt, Egyptian-born billionaire developer, Samih Sawiris hatched a daring plan to transform humble Andermatt into a year-round resort. 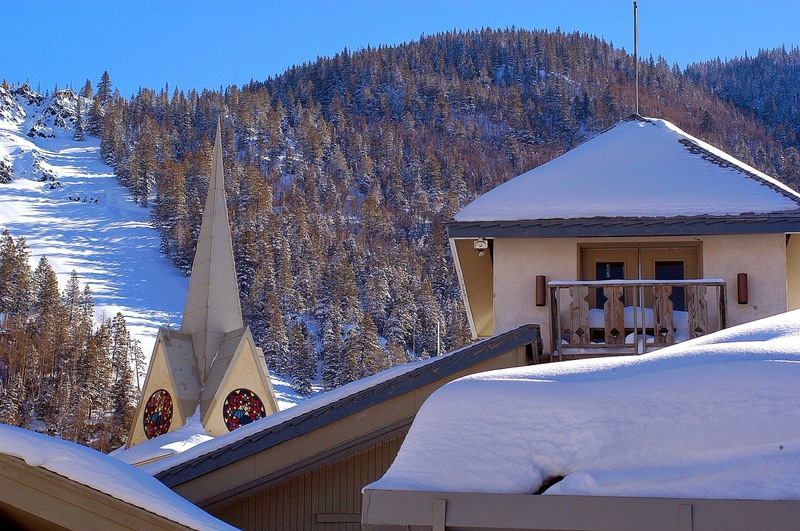 After a helicopter tour of the central Swiss mountainous area in 2005, he mapped out ski hill improvements as well as a blueprint for 25 topnotch chalets, six hotels, an indoor pool, an 18-hole golf course, and a chain of 490 condominiums across 42 buildings. With a dwindling population of around 1,400, the former army town had been struggling economically, with many younger residents migrating elsewhere for job opportunities. Swiss Tourism figures recorded around 60,600 overnight hotel stays for 2012 whereas rival resort, St Moritz clocked up 692,000 and Zermatt almost 1.3 million. Sawiris’s global real-estate company, Orascom Development Holding AG kick started the $2 billion gentrification project by purchasing around 345 acres of developable land, on which his Swiss company, Andermatt Swiss Alps AG, is now realizing the project. Already popular with off-piste skiers, the pretty village was surrounded by a varied and challenging ski area on the 2,961-metre Gemsstock Mountain. While these predominantly Dutch, Scandinavian and local expert skiers were content to hike to fresh snow, much of the new ski infrastructure development would focus on improving the inbounds ski area, opening up the appeal to every level of skier and snowboarder. 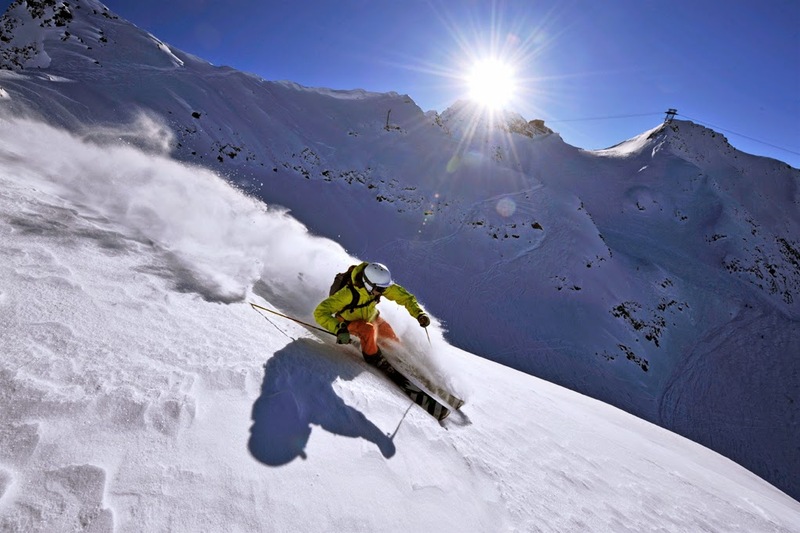 “The SkiArena Andermatt-Sedrun project will see six new lifts linking Andermatt with the high plateau at Oberalp and the Sedrun ski area by the 2017/18 season, creating the largest ski area in central Switzerland,” said Will Hide in an article for The Guardian Travel in November 2014. Ecosign was responsible for the ski hill structure plan with stakeholders, Andermatt Gotthard Sportbahnen, the Sedrun Bergbahnen, the Matterhorn‐Gotthard‐Bahn and Andermatt Swiss Alps all working closely together. Plans included construction of a gondola from Andermatt to Nätschen and Guetsch; a six-seater chairlift from Oberalp to Calmut; an improved connection between Nätschen and the Matterhorn Gotthard Bahn; a six-seater chairlift on the Gurschen; the covering of the valley descent from Gurschen to Andermatt with artificial snow; plus the continuous connection of the Ursern Valley with Sedrun through mountain infrastructure. In addition, there would be extensive snowmaking installations as well as new resort restaurants. Ground breaking for this - the largest Swiss ski resort development at the time - was scheduled for summer 2015 with the first two chairlifts (Oberalp Calmut and Gurschen) opening for the 2015/16 ski season. In any resort development, community collaboration is key and this is where Sawiris excelled. At a town gathering, he got locals on board by presenting (in fluent German) his plans to bring hundreds of jobs to the area, with sketches and also pamphlets about his successful regeneration of a Red Sea desert resort at El Gouna. He worked with local farmers and town-dwellers in decision-making forums, listening to and adopting some of their ideas for traffic re-routing, building heights, land use and financial compensation. The village voted overwhelmingly for the project in March 2007 (96 per cent of Andermatt residents and 88 per cent from neighboring Hospental). The company also produced a comprehensive FAQ document, prepared especially for the community and potential investors. It answered questions ranging from why Sawiris identified the area in the first place, to environmental concerns, affordable housing, critical mass worries, new ski infrastructure plans right down to the minutiae of second home furnishings. Breaking ground on Sept 26 2009, the blueprints called for a modern design to blend with Andermatt’s traditional cobblestone alleys and rustic wooden chalets. Financing for the development came from pre-sales, Orascom and a $160 million personal investment by Sawiris, said Marta Falconi in a 2013 article for the Wall Street Journal. Falconi said it was a “risky venture”. Competition was coming from other developments around Switzerland including nearby Lake Lucerne. “The developer struggled 1 ½ years ago to keep up the project’s timetable and cash flows, prompting some investors to swoop in,” said Falconi. “One of them, Hans-Peter Bauer, a co-founder of the Swiss Finance & Property AG real-estate firm, bought 72 units for about $135 million.” Bauer, who now sits on the board of Andermatt Swiss Alps, has been responsible for pitching the resort to overseas investors in Singapore, Hong Kong and Russia. 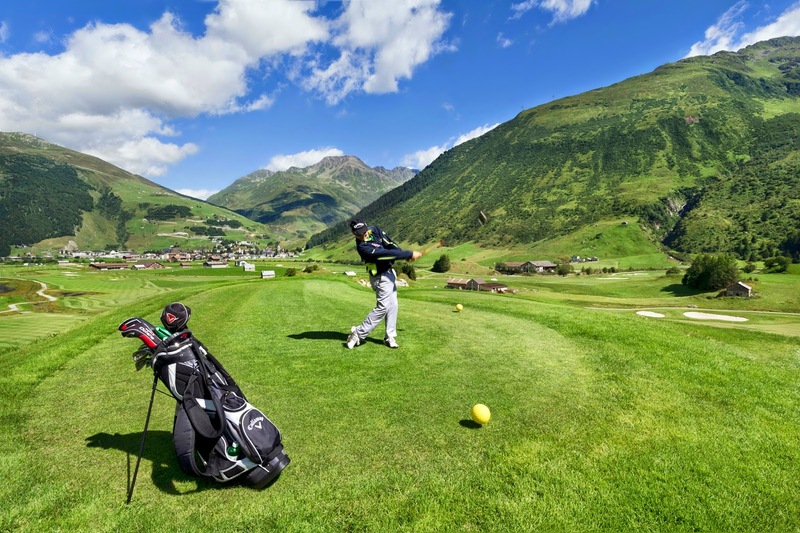 Unlike most Swiss resorts - which are subject to the Lex Koller law which drastically limits foreign investment – the Sawiris project in Andermatt is exempt and is targeting markets in Switzerland, Germany, England, Italy and overseas. The FAQ document explains that although the global economic recession coincided with the timing of the project, Sawiris was confident that the project would be implemented as planned although over a longer time scale than originally anticipated. 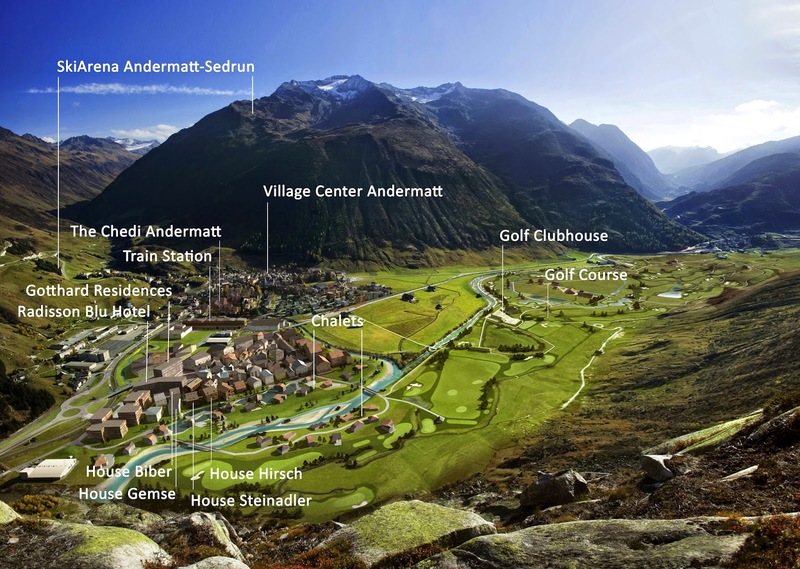 Alongside ski lift redevelopment, Andermatt Swiss Alps focused on real estate development and – together with local authorities – planned improvements in water systems, roads and a train station facelift. No extra retail or restaurant facilities were planned at the initial stages although future phases would allow this. Most of the resort was designed to be car-free, facilitated by new underground parking structures. 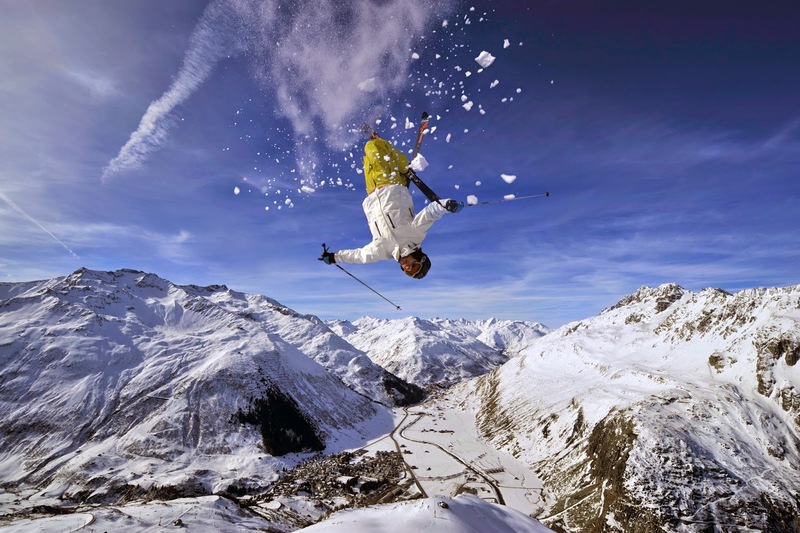 By the following ski season a total of almost 70 apartments would be available to skiers in the new Andermatt resort. Three or four further condo buildings as well as a second hotel were scheduled for completion by 2017, said Berger. “In summer 2016 the brand new championship standard golf course – 18 holes, par 72 – will see its official opening after having been played in two pre-opening seasons by hundreds of enthusiastic golfers,” he added. By transforming Andermatt into a highly competitive, all-season destination, Sawiris planned to create a stable, growing local community. “This project brought new life to this place,” confirmed Andermatt Mayor, Roger Nager in an article for the Wall Street Journal in 2013.